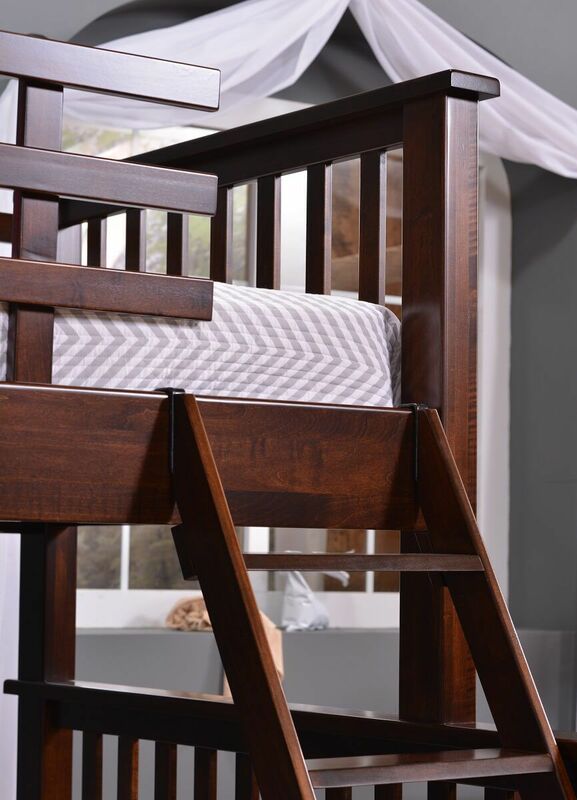 For your child's bedroom or spare room, consider the Misha Twin Bunk Bed constructed of solid American hardwood by our skilled Amish artisans. 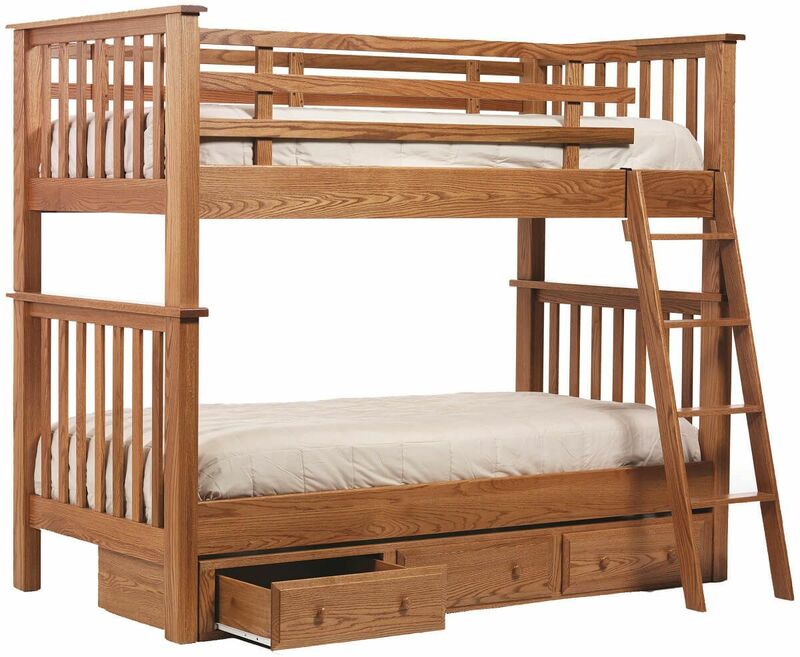 The Misha Bunk Bed fits your child's standard twin-size mattress and can later be converted into two twin beds. 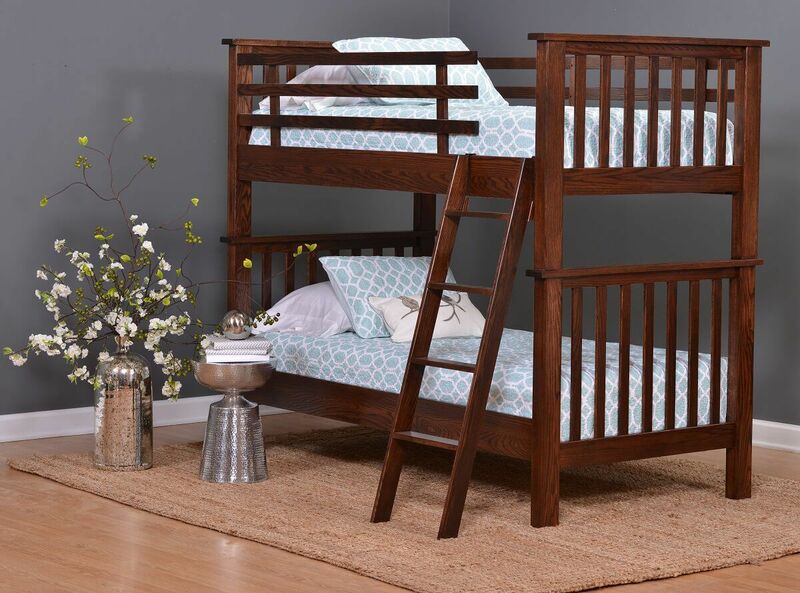 This twin bunk bed features a wooden ladder for access to the top bunk and a safety rail for ease of mind while your child is up there. Handcrafted in Oak, the Misha Bunk Bed displays the distinctive "mountain peak" pattern and straight grain of this popular wood type. To order your twin bunk bed as it is pictured, choose Oak with our Summer Sun or Devonshire stain from the Create Your Piece menu. Be sure to add the optional drawer unit for convenient and spacious storage under the bottom bunk. These drawers operate on full-extension, side mounted metal drawer slides.